Flooding on the 86th Street transverse in Central Park from @FedHillGal via Twitter. NEW YORK -- Just as AccuWeather predicted, some locally heavy rain produced street flooding in parts of the New York area on Friday. 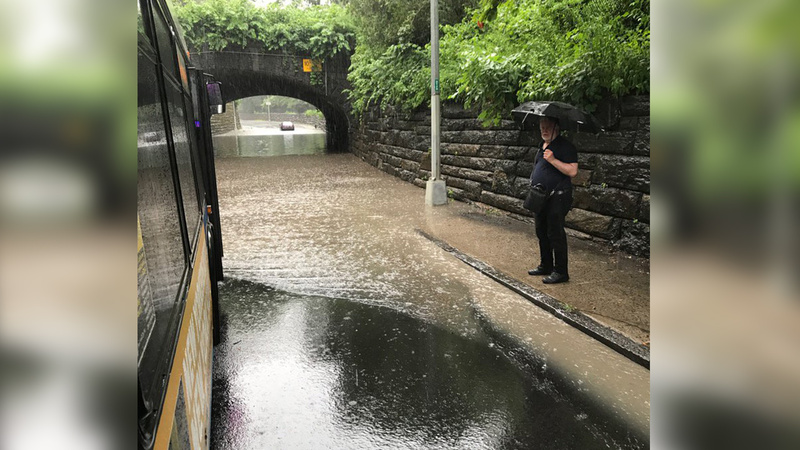 The drenching rain caused street flooding in Central Park and in parts of New Jersey, including Hackettstown. Once the rain ended around midday, clouds and sun took over for the rest of the day, but a chance of a thunderstorm remained into the night. The weekend is shaping up to be nice with plenty of sun and temperatures in the 80s. Check the weather and AccuTrack radar any time at abc7NY.com/weather. For weather updates wherever you go, please download the AccuWeather app.